Daniel Garris, Shawn Robbins and Alex Edghill contributed to this report. Four wide releases are currently scheduled for release on April 29. Warner's Keanu and Open Road's Mother's Day are expected to be the stronger performers of the bunch, while much less is expected from both Focus' Ratchet & Clank and Paramount's Same Kind of Different as Me. In general, moviegoers will be waiting for the release of Disney's Captain America: Civil War the following weekend. - The comedy duo of Keegan-Michael Key and Jordan Peele have a built-in following thanks in part to their Key & Peele comedy series. - A comedy that centers on the kidnapping of a kitten could come across as feeling unique and has the potential to appeal to a wide range of moviegoers. 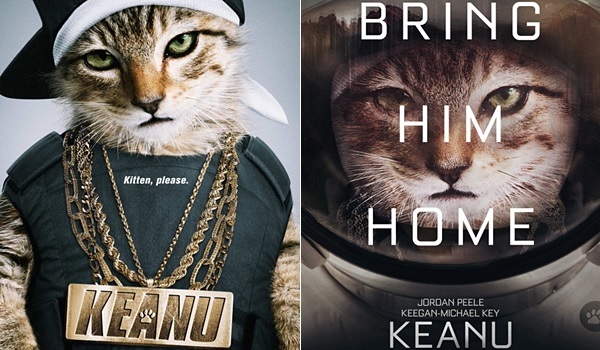 - Much of the early marketing for the film focuses on Keanu the kitten. This could potentially lead to strong online buzz, as cats have a way of becoming conversation topics over the internet. - Keanu will be opening just one week before Disney's Captain America: Civil War and only two weeks after fellow Warner Bros. comedy Barbershop: The Next Cut. - Both Key and Peele are unproven draws when it comes to the theatrical box office. - Early Twitter activity for the film has been modest thus far. - Mother's Day has a strong ensemble cast that includes Jennifer Aniston, Julia Roberts, Kate Hudson, Jason Sudeikis and Britt Robertson. - Director Garry Marshall has had previous holiday themed box office success with 2010's Valentine's Day (which grossed $110.5 million in total domestically) and to a lesser extent with 2011's New Year's Eve (which grossed $54.5 million domestically). - The film will likely get an added boost from opening the weekend before the Mother's Day holiday. - Open Road has struggled with their wide releases recently. The distributor hasn't had a film open with at least $10 million since Nightcrawler did so with $10.4 million back in October of 2014. - Roberts isn't anywhere near the box office draw she once was and Aniston is often either hit or miss at the box office. - Moviegoers may not go for another ensemble holiday themed film from Marshall, especially given how much New Year's Eve dropped off from the performance of Valentine's Day. In general, moviegoers will be waiting for the release of Disney's Captain America: Civil War the following weekend. Your long term forecasts are great. I like so much. This is a very good movie, you should watch it.